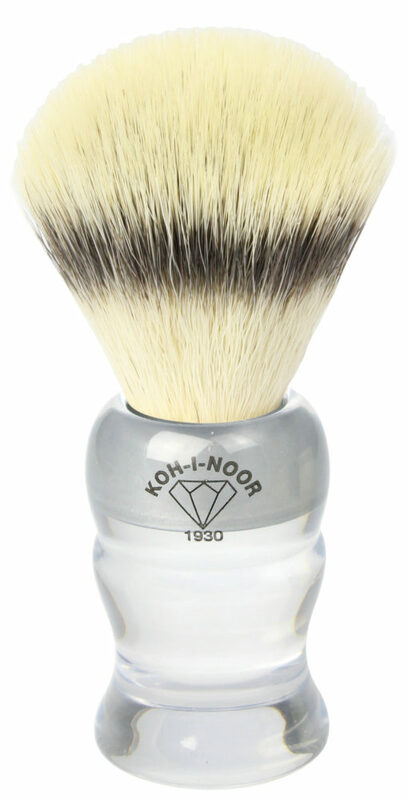 Elevate your shaving experience with this shaving brush; Handmade to perfection, its strong yet flexible silvertip bristles are great for creating a rich lather and are gentle against skin, perfect for all skin types. 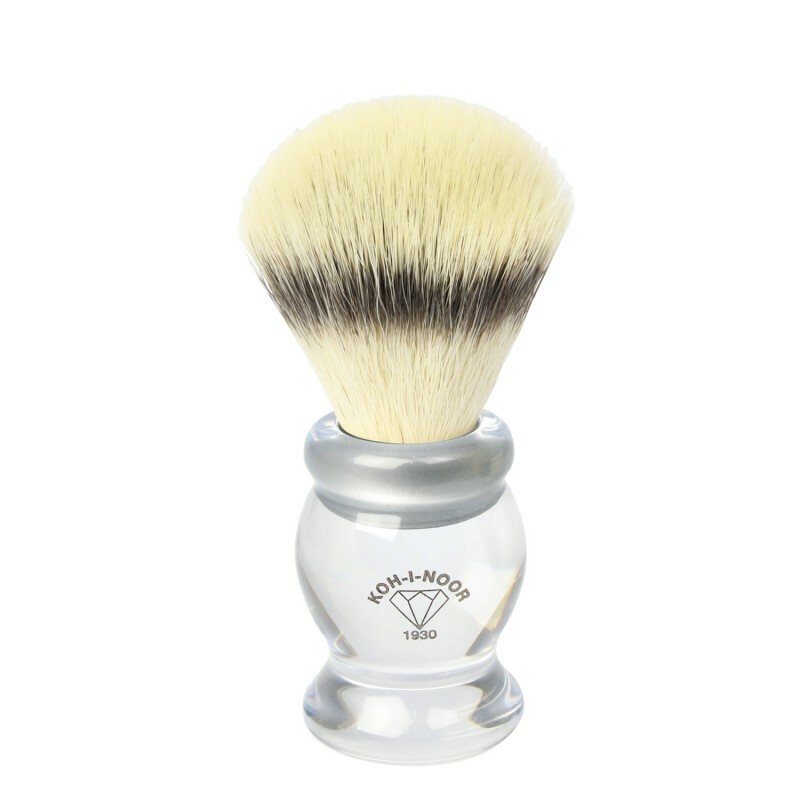 Its durable faux ivory handle keeps the bristles tightly secured and fits comfortably in your hands. An etching of the brand’s name, a diamond, and 1930 are featured on the handle, identifying it as part of the brand’s anniversary collection. Never mass-produced, each brush is made by an artisan’s hand. 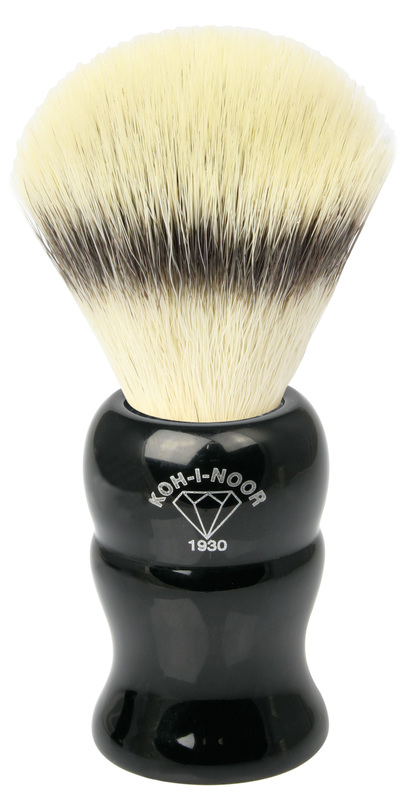 Silvertip badger hair is the ideal material with excellent water retention and unparalleled softness. The handle is made from high-grade resin that has been expertly turned for a seamless look. High-grade resin is a durable and good-looking material that will last for years and maintain its aesthetic appeal under constant use. The 1930 collection is engraved with the Koh-I-Noor diamond. I am prone to bumps, breakouts and ingrown hair. Cheap shaving products just don’t cut it. I will be using this for years to come. I have sensitive skin so shaving is sometimes irritating. 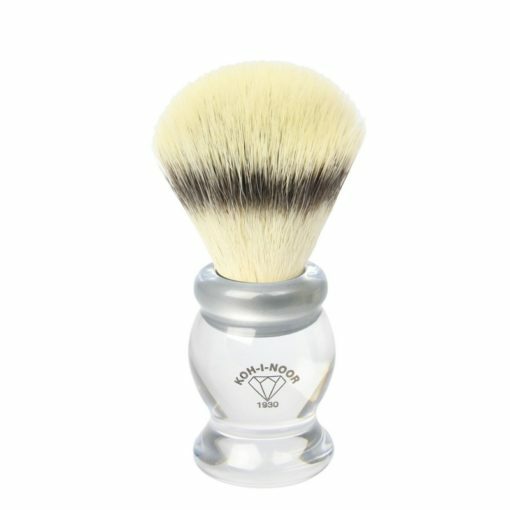 This shaving brush tho! It’s amazing, soft, plush and really lifts my growth. It’s so worth it - your skin will thank you. 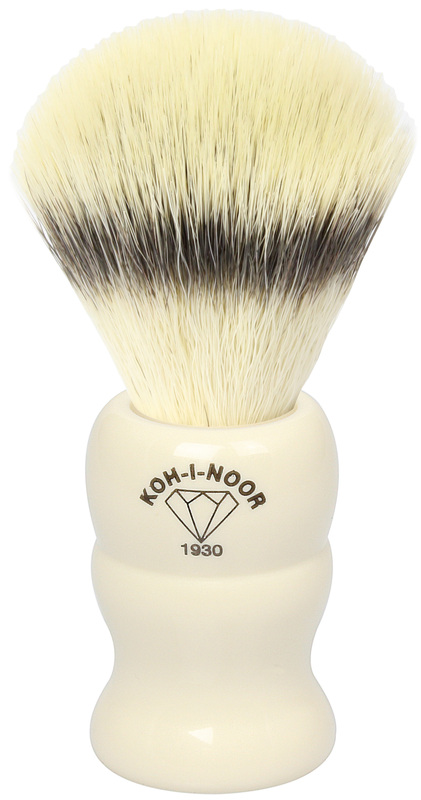 What a difference this brush makes: more lather, better application, and just how sweet it is on my skin. Needless to say I have been shaving for a few years, about 30, I never knew I would look forward to what I used to consider a chore. I love this brush!